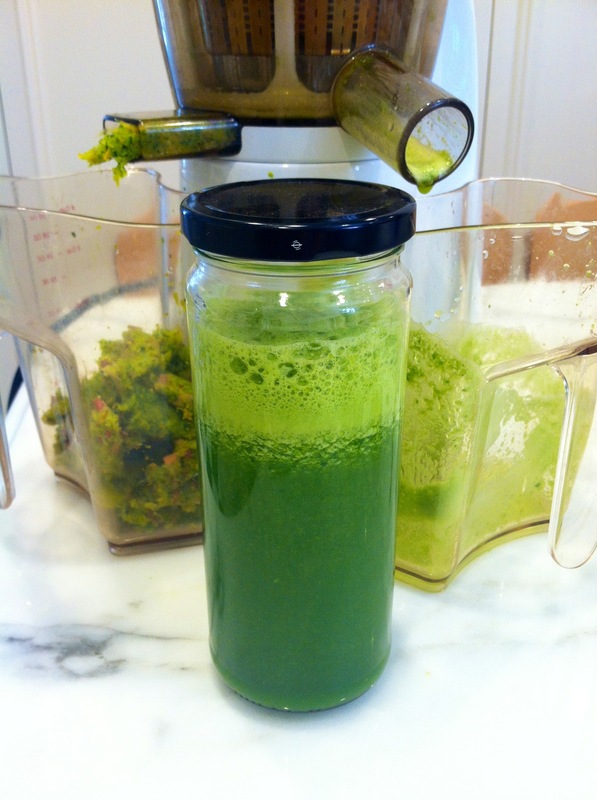 This complex green juice is by far my favorite I’ve made yet! 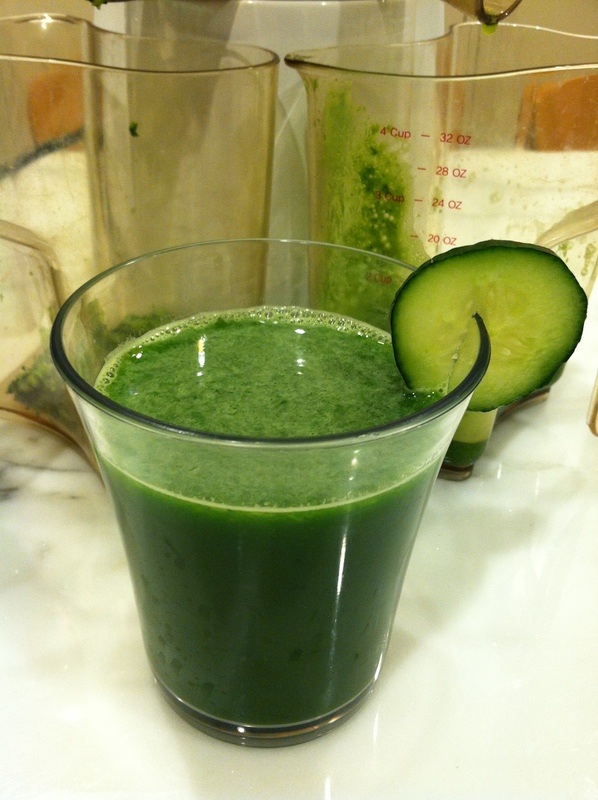 This juice is created by combining apple, beet, romaine lettuce, spinach and ginger root. 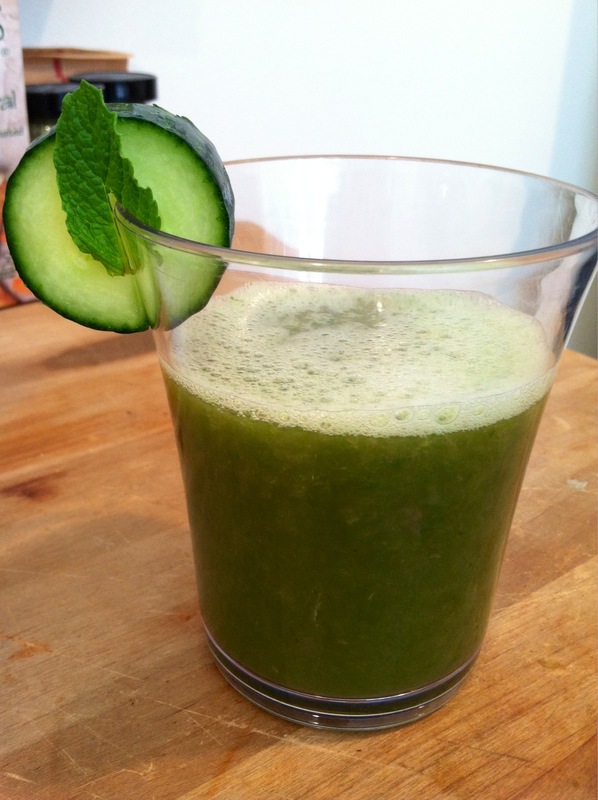 This mild tasting green juice is incredibly delicious and very drinkable. 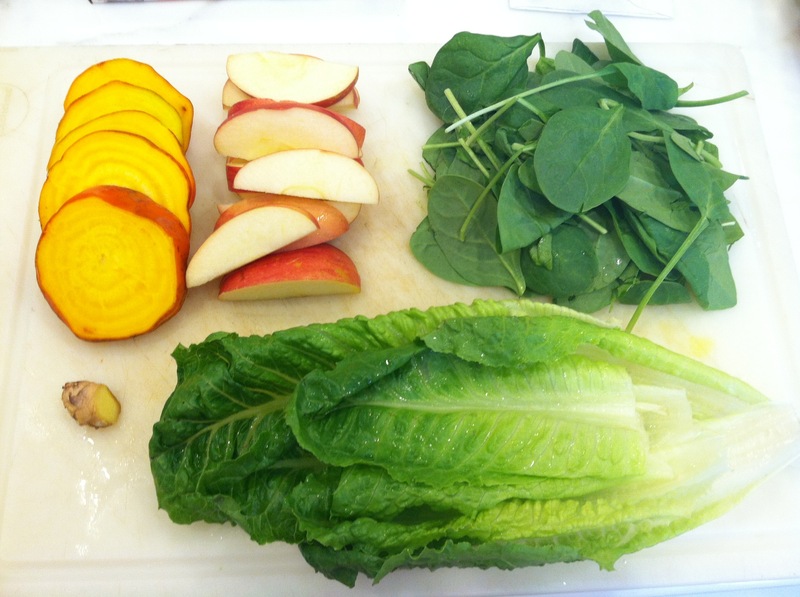 This apple beet romaine spinach ginger juice is also very nutritious. It contains high amounts of vitamins A and C as well as many minerals including iron, manganese and folate. Start by thoroughly washing your apple, beet, romaine lettuce and spinach. Make sure to clean your beet very well by gently scrubbing it so as to ensure you remove all the dirt. After you have washed your apple, beet, romaine lettuce and spinach, cut your apple and beet into smaller pieces so your juicer will be able to easily process it. I ripped my romaine leaves in half so that it would be easier to process as well. 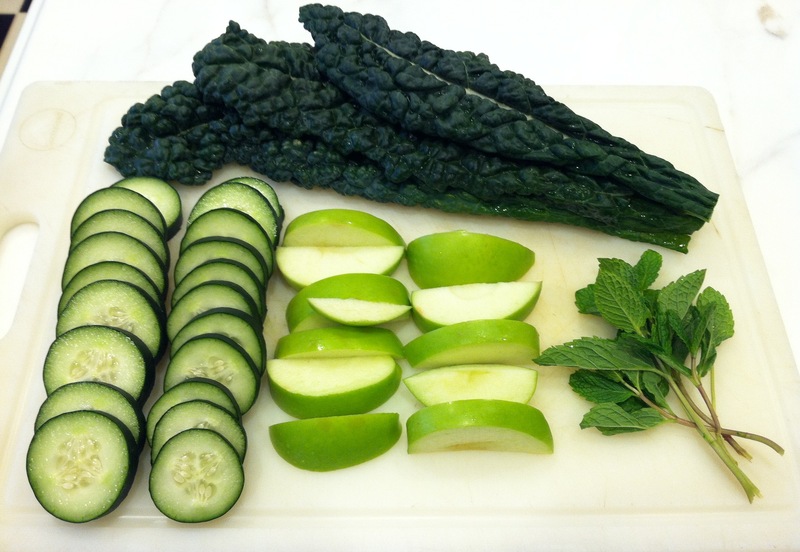 Now that all of your prep work is done, you are ready to start juicing. I put the ginger root in first. I then alternated putting in the romaine lettuce followed by the beet and then the spinach followed by the apple. 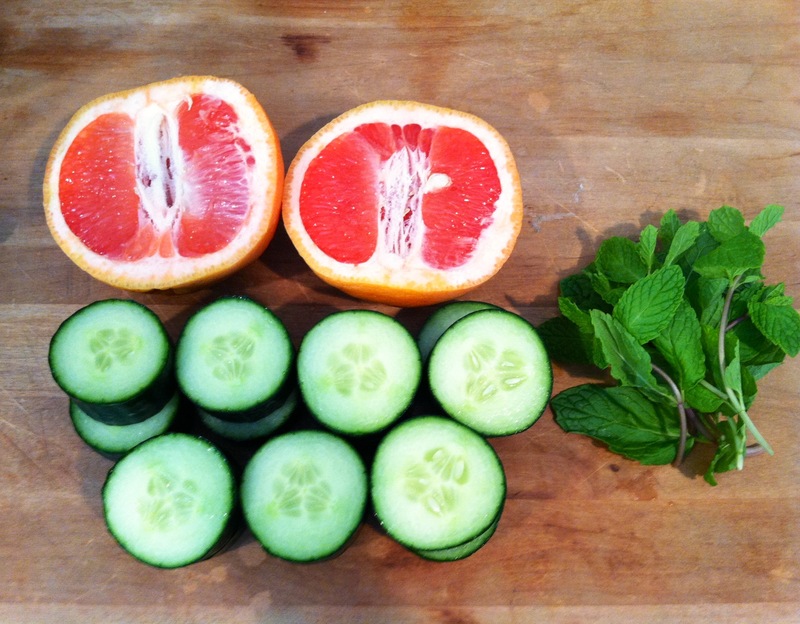 I continued this way until I had finished juicing everything. Once everything has been processed in your juicer, you will be left with a cup of this delicious and nutritious apple beet romaine spinach ginger juice! 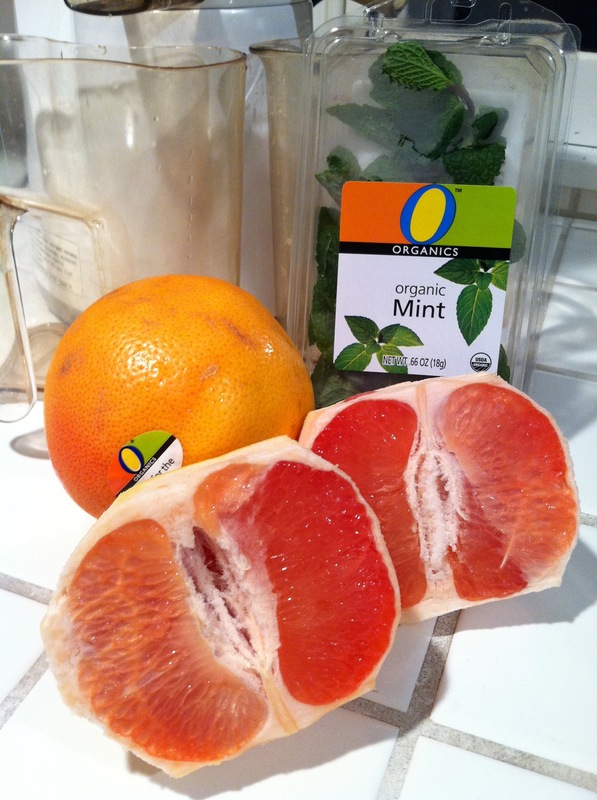 Enjoy immediately or store in an air-tight container for up to three days. 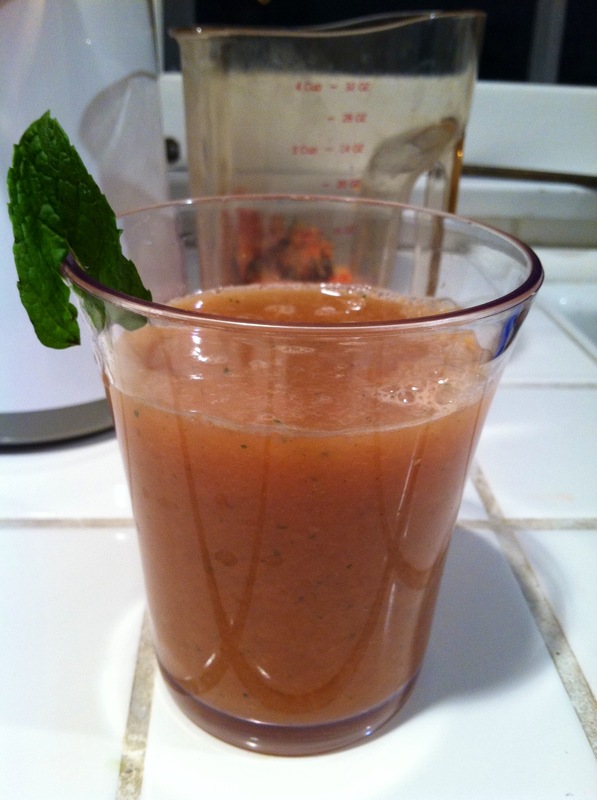 One cup of this apple beet romaine spinach ginger juice will give you 164 calories. It will also provide you with 800 milligrams of potassium and 4 grams of protein. This juice contains 6% of your daily vitamin E, 8% of your daily vitamin B-6, over 100% of your daily vitamin C, and over 200% of your daily vitamin A. This apple beet romaine spinach ginger juice is also full of minerals. Some of those include 11% of your daily calcium, 16% of your daily magnesium, 32% of your daily iron, 40% of your daily manganese, and 51% of your daily folate.